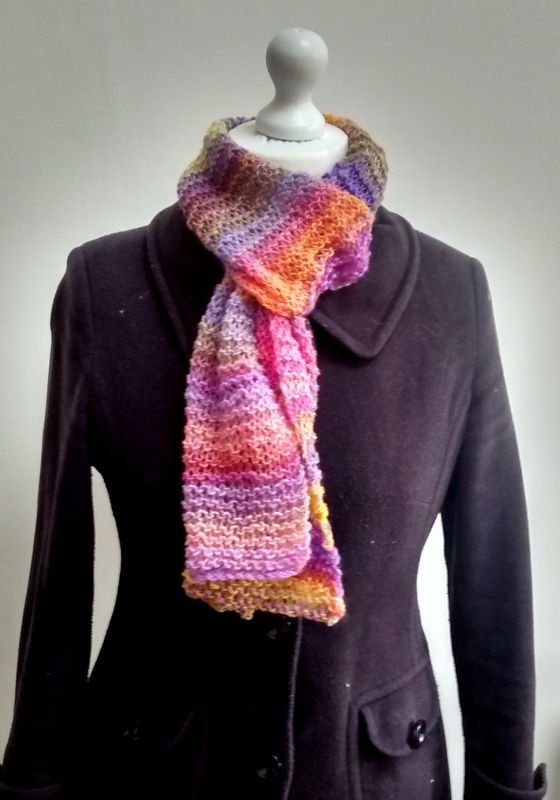 This week I thought I’d share with you my super easy scarf and snood patterns. As you probably know by now, I spin and sell my own yarn. I want people who buy my yarn to be able to make something beautiful from it. 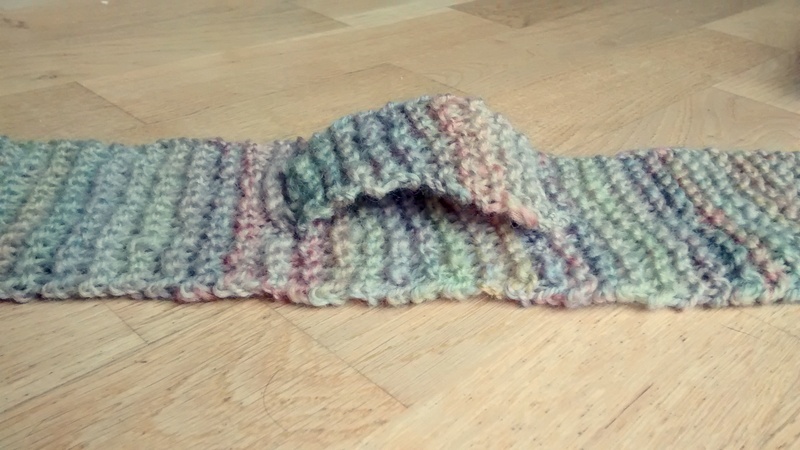 So, I have written 3 very easy patterns that can be knitted from 2 skeins (100g) of my yarn. They are all a variation of the same pattern and can be easily adapted for whatever yarn you are using. Pattern: Cast on 25 stitches. Carry on knitting until the scarf is the length you desire then cast off. That’s it. See, easy. 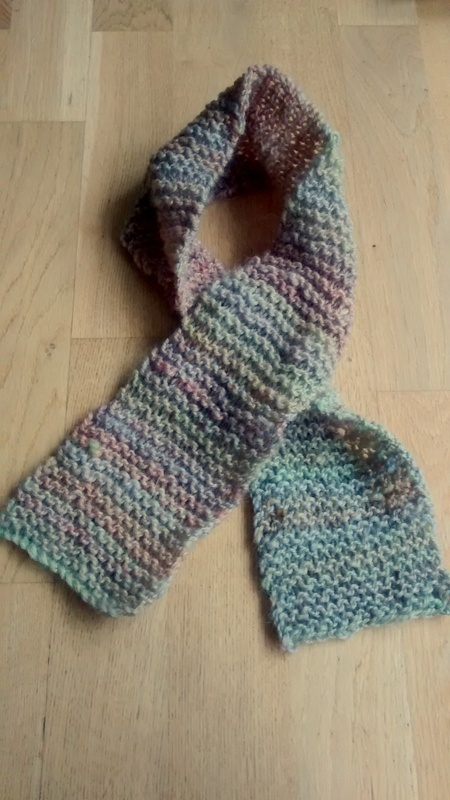 This is called a garter stitch and looks really effective on large needles. Pattern: Cast on 15 stitches. When the scarf is the length you want it cast off. Now I like to add a small bit on the back so the the scarf can be held in place without having to tie it around little ones neck. If you want to add one too, cast on 6 stitches. Work about 15-20 rows in garter stitch (each row is ‘knit’ all stitches). Position it towards the bottom of the scarf and sew in place. I’ve lifted it up in the picture so you can see it but I actually sewed it in place, flat. 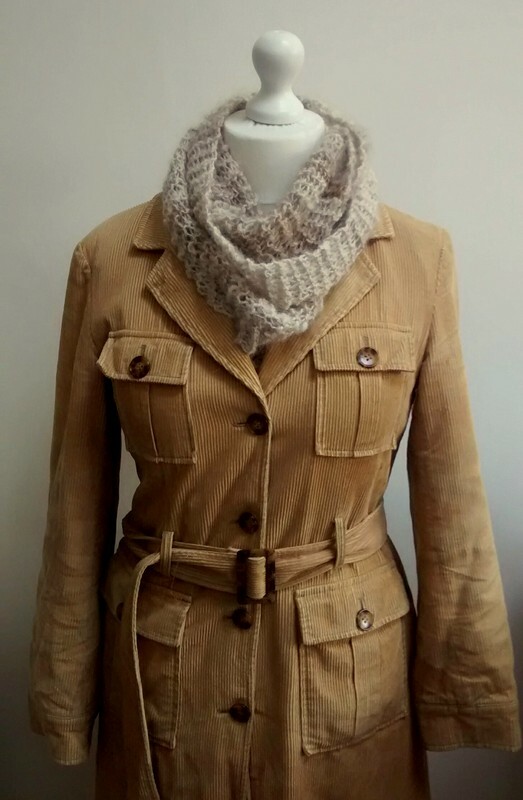 I love this one especially as I made it from yarn I spun from 50% super soft Alpaca and 50% Angora Rabbit (don’t worry, both were sourced from responsible pet owners!). I cannot tell you how soft and warm it is! Now you don’t need to make it from this gorgeous wool; this pattern would actually work in either a single block colour or a multi colour yarn. Repeat Row 1 until the snood is at least 120cm long. Cast off. Take the two ends and sew them together. Now you have your lovely new snood. Should I make my hobby into a business?